Dr. Ogo Okoye-Johnson is a dynamic and creative, media producer, and writer. She has experience as a television producer, publisher, global multicultural education speaker and author. Ogo is the founder and Chief Executive Officer of Noon Productions, a Media Production and Publishing company which published her first book, Oma, the faithful daughter. She believes in making accessible diverse children's books to all ethnic groups. Dr. Ogo Okoye-Johnson's new book, Chike the Invincible published by Waldorf Publishing will be out August 1, 2016. 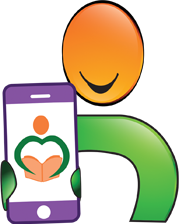 Social justice is the cornerstone of Ogo’s various research endeavors in the field of education addressing the academic achievement and health of minority students. Ogo Okoye-Johnson is very passionate about eliminating the achievement gap that impedes the academic progress of students.She has published scholarly articles on e-learning, multicultural education and racial attitudes; and on Standard English Learners. She has presented papers from personal research at conferences in US and abroad. She is working on several books which are due for publication soon. 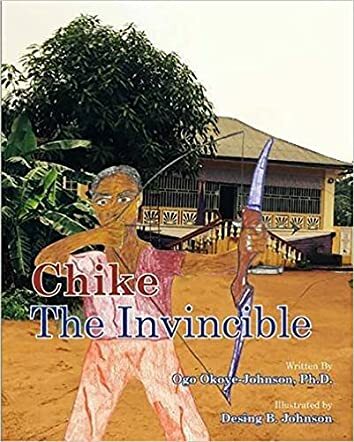 Chike the Invincible by Dr. Ogo Okoye-Johnson is a beautiful story for young readers with an excellent message. Chike lived with his parents, Chief Ike and Chi-Chi, in the village of Awor. Chief Ike was powerful and he always won the biggest yam and archery competition held every year during the annual New Yam Festival. The idea of this festival was to bring the previously warring villages together. It was a grand festival and the highlight of the festival was the archery competition. Chike learned archery and started competing. He loses his father to a trap laid by his uncle Obi during an archery competition. After his father's death, he moves with his mother to her village while Obi declares himself to be the chief of Awor. It's a story of perseverance, valor, and determination and sees the emergence of Chike again as a true warrior. The story has an excellent concept and conveys a good message to readers. Chike's perseverance and determination are inspiring and his comeback from the setbacks in his life is admirable. All the characters in the story are sketched well and they complement the plot and Chike effectively. It's a good bedtime storybook and parents and grandparents can read it out to their kids and grandkids. It's also a good book for read aloud sessions in classrooms and school libraries. This is an excellent book for children of all ages and even adults because it teaches great moral lessons that anyone can benefit from. It is a great folktale of valor and intrigue. I have my copy, grab your copy today! 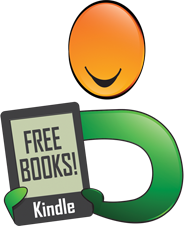 Chike the Invincible is a great story that teaches values that transcend all cultures. As a visual artist, I am impressed by the colors and design and know that children will be excited to read the book or have it read to them, and follow along with the illustrations as well as the story! Chike the Invincible is a great children's book! It teaches its readers the value of righteousness, and never giving up on what is truly yours. Lessons like these allow young readers to live life honorably. Chike the Invincible is a heartwarming book about courage and determination when it seems like everything is gone. Dr. Okoye-Johnson did an awesome job opening up the eyes of the reader. By giving us a look at the culture of this amazing tribe, she tapped into emotions of sadness when the Chief was killed, along with overwhelming pride and a deeper desire to read more of this talented author's work. The illustrations and writing creates a feeling of actually being there. Well done Dr. Okoye-Johnson, well done!!! Chike the Invincible is a wonderful and inspirational folktale that clearly exposes young readers to the importance and value of family, tradition, and loyalty. Readers clearly see that Chike’s courage and tenacity empowers him to defeat the oppression in his native village of Awor and to bring back happiness to all villagers. 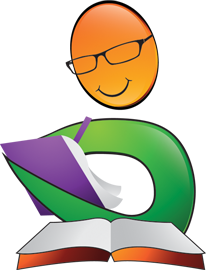 This book is a great resource for teachers to incorporate in their language arts lessons. Not only do children learn about tradition, but the importance that character counts. Loved the book! If there is a coming of age story that shares traditional Nigerian values such as loyalty to family, duty and honor, Chike the Invisible is it. Dr. Ogo Okoye-Johnson leaves no stone unturned in this delightful tale of a young son who is rightfully restored to a position of legacy. The accommodating illustrations easily allow the reader to envision many facets of village life. I can hardly wait to share this literary treasure with my students. I absolutely loved reading about Chike and his adventures. The illustrations were very colorful! I enjoyed reading the story to my granddaughters, and having them ask questions about trusting someone, why Chike's dad had to die, and how Chike kept his faith. Chike The Invincible’’ is a well written and attractive picture storybook in the folktale genre in traditional Igboland setting. It shows how dexterity and virtues such as kindness, love, hard work and unity of purpose as seen on the part of Chike, Ike and Chi-Chi overcame both evil and misfortune to foster unity and purposeful progress in the community. 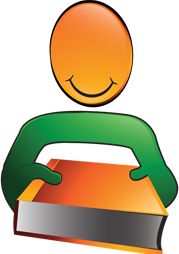 The book has a great potential for inspiring young readers to purposeful good living.